A special keepsake for a fabulous Maid of Honour. Say “Thank You” for all her help with a cute customised frame. 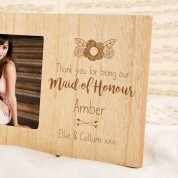 The wooden frame is engraved with the message “Thank you for being our Maid of Honour” followed by the recipient's name and a short with love message. A pretty, detailed flower sits at the top of the frame and little arrows crossing below. The illustrative detail compliment the rustic effect of the wood making this a stylish addition to any home. 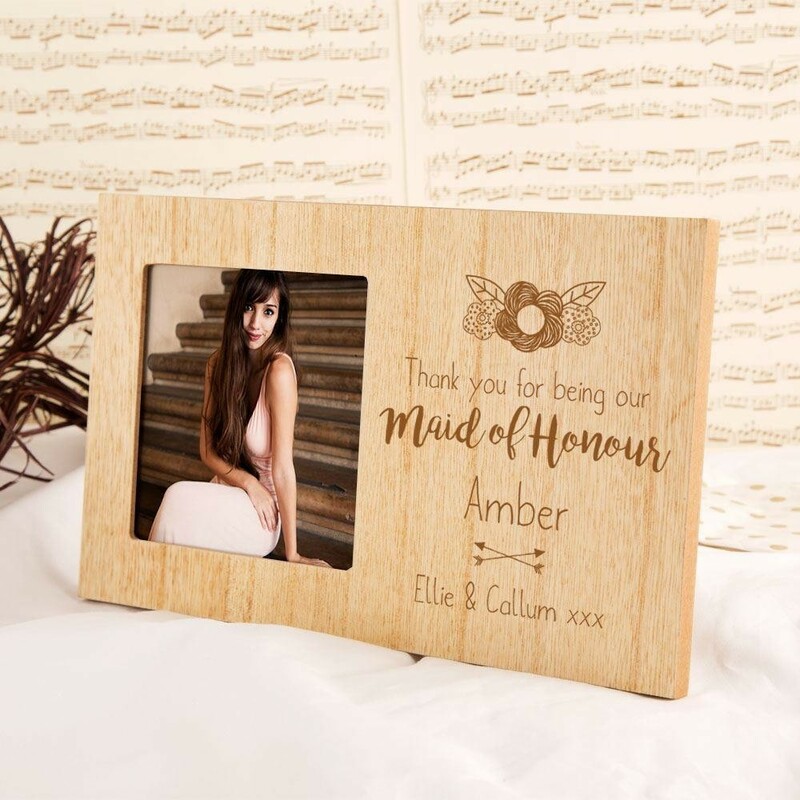 It will look stunning on the mantelpiece, displaying a photo of the fabulous Maid of Honour on your special day. She will love to be reminded of such a fun time!